Tour 4 travels bring us to Cornings Gaffer District, touring the streets and stopping at the Rockwell Museum of Western Art, The Corning Museum of Glass, the West End Gallery, the Corning Community College Planetarium. Corning's Gaffer District  A shopping, dining, and entertainment center in the Finger Lakes. The tree-lined streets beckon you to linger from one place to the next. Rockwell Museum of Western Art  An amazing museum that displays the best Western and Native American art in the east. Corning Museum of Glass  Here you can explore, research, touch, work with, and interact with glass. Palace Theatre  A beautifully restored movie theater on Market Street. West End Gallery  Offers art pieces from more than 40 artists, plus admission is always free. Gaffer Grille & Tap Room  They offer culinary delights and a great Finger Lakes wine list. The Cellar  A casual Market Street restaurant, featuring a great Finger Lakes wine list. Gaffer District Historic Walking Tour  Tour 19 places, learning about local legends and the history behind the districts architecture. Information Center of Corning  Make this your first stop when you visit Corning. You can attraction tickets here, plus the staff is very helpful in answering your questions. 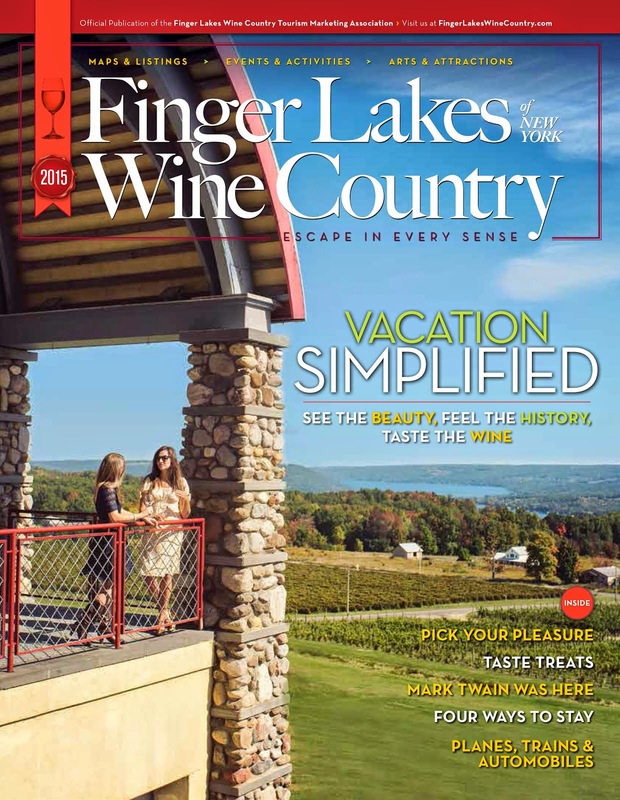 Bottles & Corks  Offers Finger Lakes wine tastings every Friday and Saturday. The Planetarium at Corning Community College - A valuable astronomical resource in the Finger Lakes. They offer multimedia shows and the opportunity to observe the night sky on the first and third Fridays of the month.